Musical works often use ambient composition techniques. These techniques can come In the form of acoustic or electronic sounds. Both types of music have the potential to engage the listener And create an atmospheric backdrop for your musical works. Adding atmospheric effects can add suspense, increase the overall density of a work, and improve the texture of a composition through added timbres not possible within traditional music. 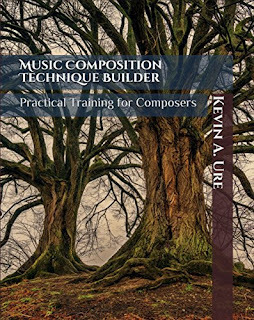 Accomplished composers know about the various available techniques and how to use the in a composition to good effect. In traditional music, percussion instruments can create dramatic ambient noise through the use of both pitched and non-pitched instruments. Using traditional instruments in non-traditional ways can provide composers with new sounds and is a common practice for orchestral composers. Crotales that normally act as bells can be transformed into an ethereal, lingering effect when bowed with a string bow instead of striking with a mallet. The sound of rain and thunder can be created using sheets of metal and a bass drum mallet along with a rain stick that the percussionist can use to create the sound of falling rain. The speed of the rain can be increased or decreased by speeding the rate at which the percussionist rotates the instrument. The best way to learn about percussion instruments is by attending concerts and talking with percussionists at universities, community colleges and message boards online. String instruments parallel the level of expression found in the human voice. As the second most expressive instrument, strings are an orchestral composers most important section for creating harmonious backdrops and soaring melodies. Strings instruments don't require breaks to breathe in between musical lines and phrases. 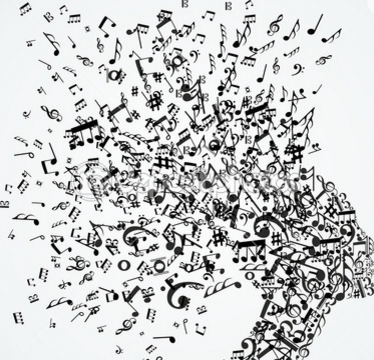 Because of this, a composer can create continuous notes and hold a single note indefinitely. String players are often called upon to create drones and to play high tessituras that would be too difficult or impossible for other instrumentalists. The pizzicato technique can be played in various ways to create differing types of plucking sounds. The "Snap Pizzicato," also known as a "Bartok Pizzicato," to create loud, harsh, snapping sounds that pop out of the musical texture. In a Bartok Pizzicato, the string actually snaps back and hits the fingerboard forcefully, creating an explosion of sound. Cole Legno provides a different sort of sound, one that requires the player to use the back of the wooden bow to play the strings. Using this technique, a crackling, sterile sound is produced that creates a hollow sound akin to splintering wood. The brass family consists of trumpets, trombones, French horns, tubas, and euphoniums. Often, cornets are used in conjunction with trumpets to create a more mellow sound than that commonly used Bb trumpet. These instruments provide the power to the orchestra and can use several techniques to change the natural sound of the instrument. Mutes can be installed to change the timbre and tone of the instrument. A mute doesn't necessarily silence the instrument, although the right type of music can reduce the amount of sound produced. Instead, a mute is used to create a different texture. Harmon mutes, for example, can make the instrument sound metallic. Mutes for tuba and euphonium are also available, and when used in conjunction with a double-reed woodwind instrument can create a sound very similar to a string ensemble with a slightly darker texture. More advanced players can play intervals by singing one pitch while playing another at the same time. Woodwind instruments can be taken apart and played using only the mouthpiece. This creates a shrieking sound that can be effective in certain orchestral and solo passages. Another option for woodwind instruments involves blowing air through the instrument without playing any pitches to play key clicks. Woodwinds can also create glissandos and play multiple pitches by using multi-phonics, or overblowing the instrument to create additional shrieking effects. A composer that wants to learn how to write for a woodwind instrument should talk with other instrumentalists and ask them to perform the various techniques. Videos can also be found online to help composers get a feel for how an instrument sounds while employing various techniques. Composers of modern music have started including electronic instruments in their live orchestral works. 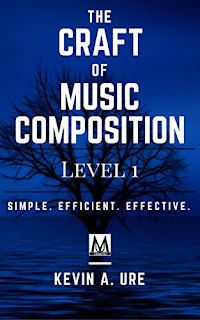 By doing so, composers can create additional effects that are not otherwise possible in a composition. While a completely electronic piece can lack emotion and nuance provided by a live orchestra, the combination of both electronic and acoustic elements can create a cohesive piece that utilizes the strengths of both mediums. The manipulation of ordinary sounds can result in especially dramatic, creative, and innovative sounds that enhance a composition's effectiveness. 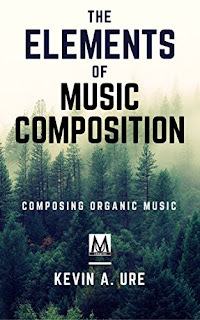 The creation of electronic music requires the composer to work twice as hard to create a composition since the composer must first compose the music and then perform it. Simply putting the pitches and sounds into a sequencer will create a dry, uninspired and lacking composition. Composers that wish to use electronic music must have highly developed musical skills to create a truly expressive piece.